This random width hickory floor was rough cut in 3″, 4′ and 5″ widths. I made it from trees harvested on site at Tyson Research Center in Eureka, Missouri. In the normal course of my business, I am sometimes asked to make flooring out of my customers’ logs. Because I mill the logs into random width boards, I would often get stuck with trying to determine the best width to make the flooring, knowing that no single width would have that great of a yield. No matter the width I chose, there would always be plenty of boards with lots of waste. 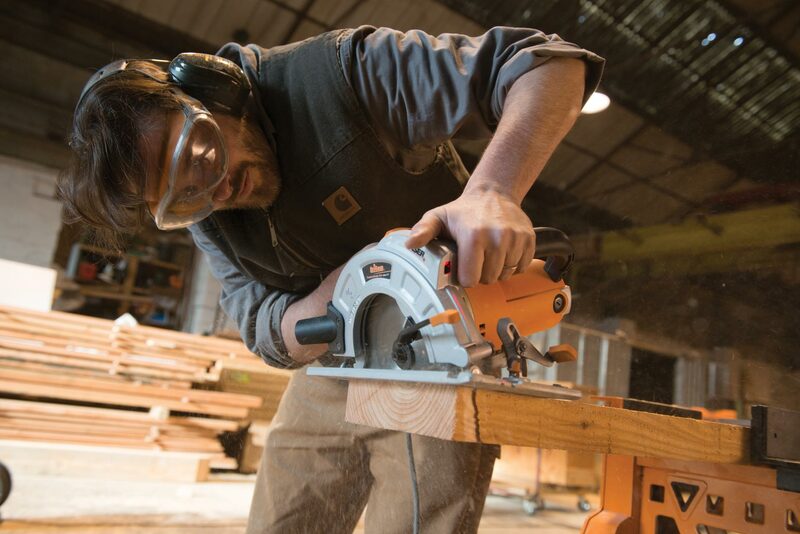 If I chose 3″ wide flooring, I can guarantee you that an astonishing number of the rough cut boards would just happen to measure 8-3/4″ wide, which would yield two 3″ wide boards and one wide scrap piece, absolutely killing me. In the past, I have tried to decide the width ahead of milling the logs and pick out which cut was going to be flooring and which was going to be another product, like siding. It seemed simple enough, if the board I was cutting was long and clear with no knot holes, I would cut siding, and if it was knotty and was going to produce only short pieces that were good, I would cut them for flooring. All I really had to do was sort the lumber into two piles while I was working. But, it wasn’t that easy. Some logs would have a side that was good for producing siding, but the next side was only good for flooring. When I flipped the log over to a new side, my width was determined by how much I cut off of the last side, and it was always random. So, no matter what I did, even if I was cutting for a specific product, I would get stuck with lots of random width boards. As I mentioned, wasting lumber kills me, and every time I ripped random-width boards down to some set width, leaving wide scraps on the floor, I thought about how to stop wasting so much wood – then it clicked. Many years ago, a friend of mine showed me a floor he made for his own house out of random width boards. As far as I know, he only did it because he thought it would look different and make his house have a special touch that would only come from someone who made their own flooring. His floor was white oak with tons of character, in three different widths. It was beautiful, and it seemed to me that I could use these random widths in some form to stop wasting wood. I don’t remember a specific moment when I had the epiphany (though I am sure I must have had one), but I figured out that using just three widths, 3″, 4″, and 5″ would cover every width of board I could produce and always leave me with less than 1″ of waste per board. Think about it. 3″, 4″, and 5″ wide, rough lumber is covered right off of the bat since they are already useable widths. After that is a 6″ wide board, which will just be ripped into two 3″ wide strips. A 7″ board gets ripped to a 3″ and a 4″ strip, while an 8″ board turns into two 4″ strips or a 5″ and a 3″, whichever is preferred. 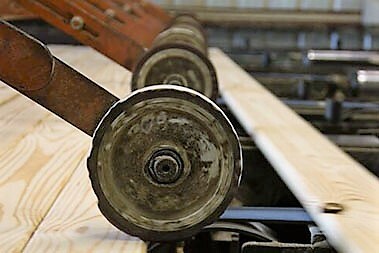 Any width of rough lumber over 6″ wide can be broken down in some way with just the three target widths of 3″, 4″ and 5″. By the way, these are the rough cut widths. The finished tongue and groove flooring will end up with a face about 1/2″ less in width. 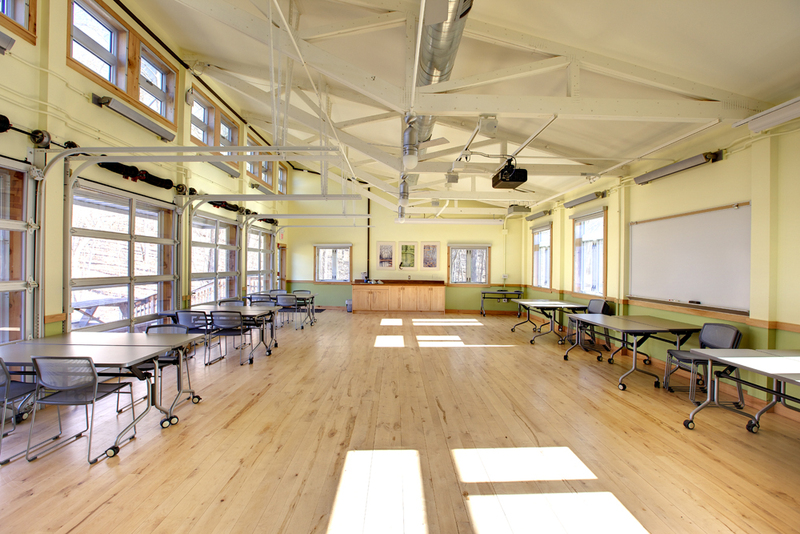 This classroom at Tyson Research Center, features random width maple flooring, I also rough milled it in 3″, 4″ and 5″ widths. Random width flooring looks different, but not too different. 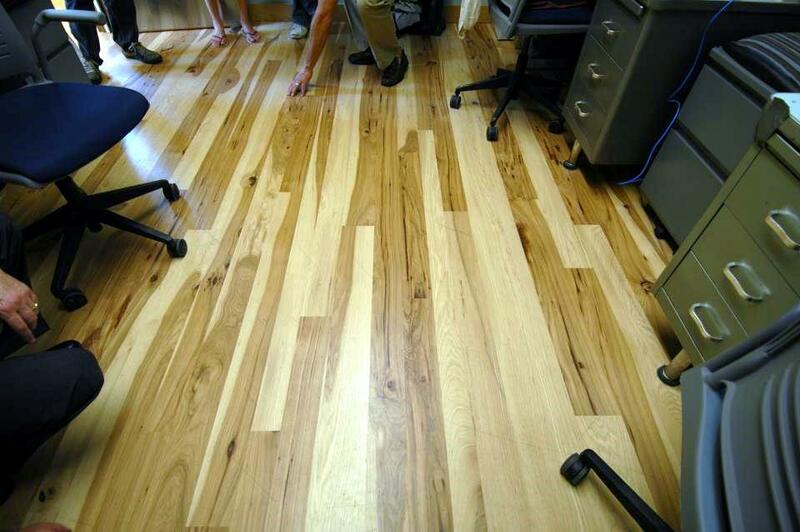 At first glance, the viewer only notices the beautiful wood, and then after closer inspection notices the three widths, which lets them know subconsciously that the flooring is special. It stands out because it isn’t all one width like typical hardwood flooring, and most people have never seen or even thought of using random-width flooring. But, I say, “Don’t be scared of it.” It is different and not typical, but in a good way, especially when it comes to waste.